Wow! What a busy term we’ve had. 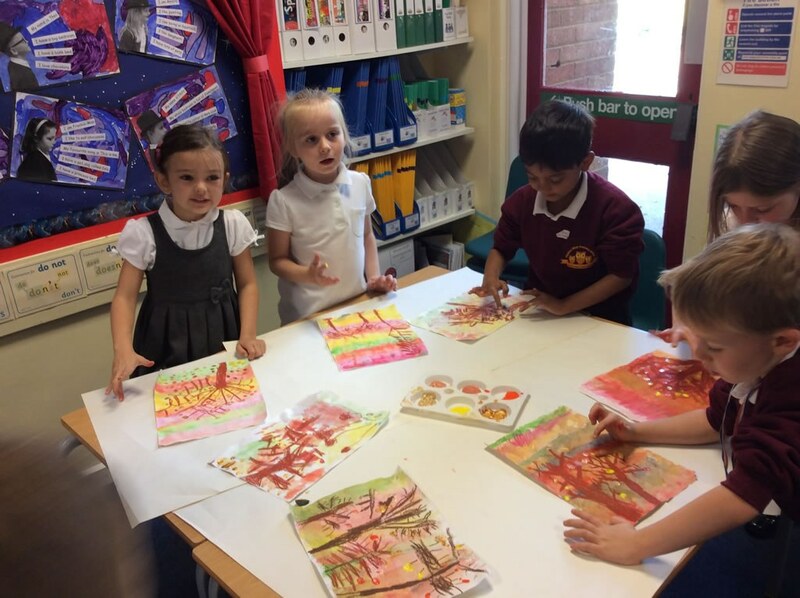 The children have all settled in their new Year 2 class really well and are showing lots of enthusiasm about their new learning. In our first 2 weeks we really concentrated on how we will always be kind to each other throughout the year and how we will try to be a ‘bucket filling’ class. We are delighted to have seen lots of kind acts to fill up buckets all term. We also have 2 additional members of the class now! 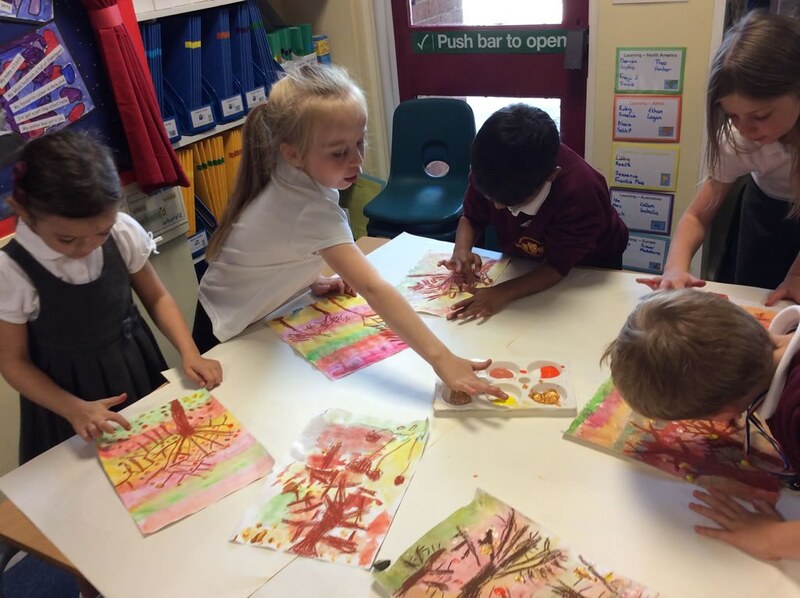 We welcomed Bubble and Goldie the goldfish and Squirrels class are doing a very good job of looking after them. 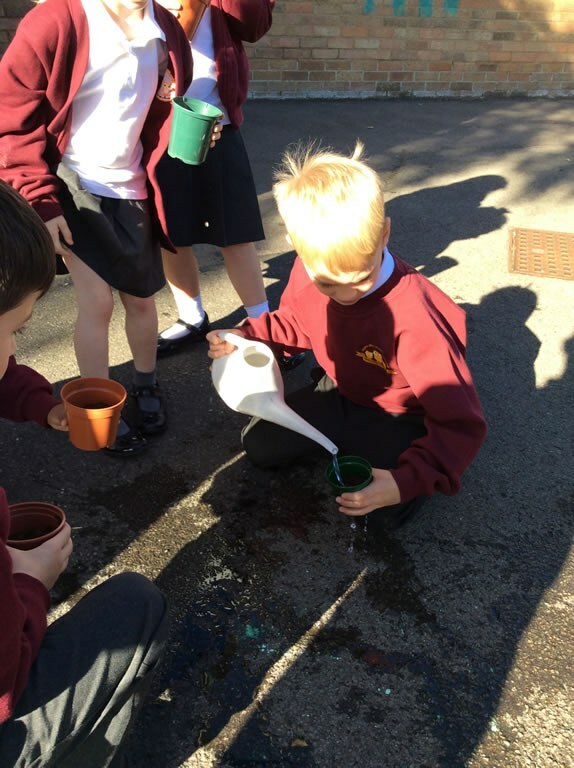 We have been learning lots about habitats and what things might live in different kinds of habitat. 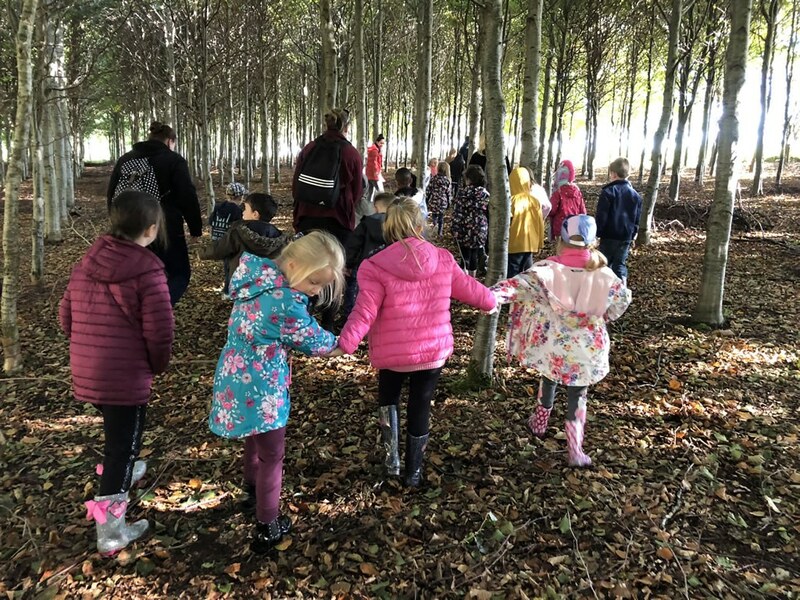 We have particularly focussed on the woods and we got a super start on this learning by visiting a woodland. 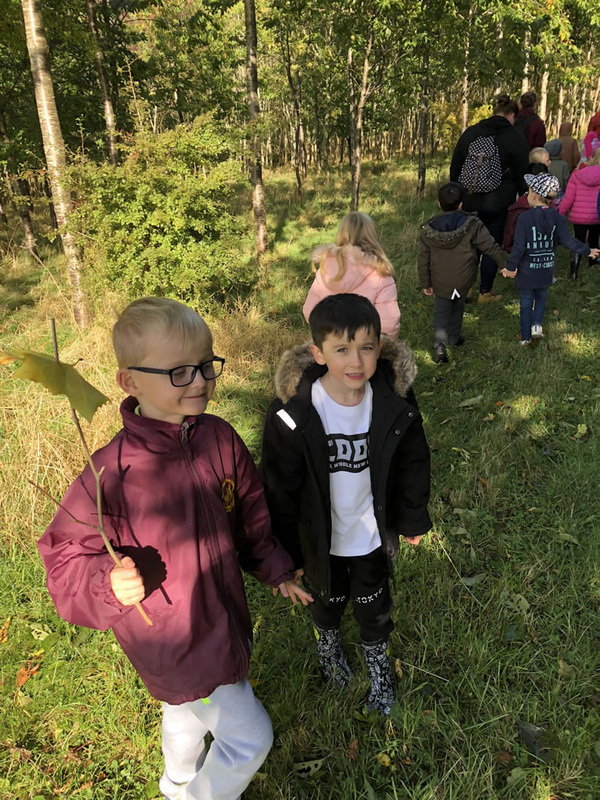 We loved identifying different trees, recognising their leaves and even looking for creatures living there. The theme of trees carried on into our text for English ‘The Last Wolf’. This story is about a girl called Little Red who goes off to look for a wolf. She gets a shock when she realises there is actually only 1 wolf left in the world. There are no more wolves because most of the trees have been chopped down! 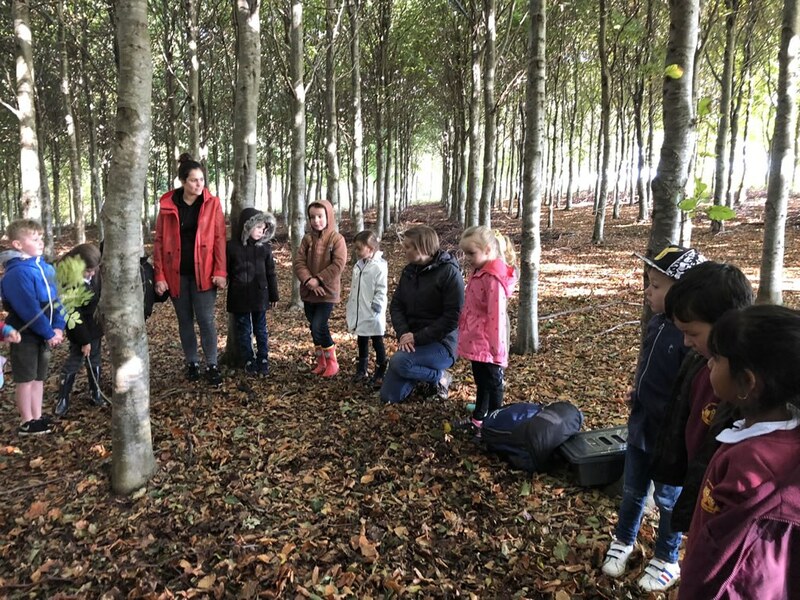 The children have been doing a fab job reading & following instructions about how to plant conkers and then writing the instructions to share with other people. 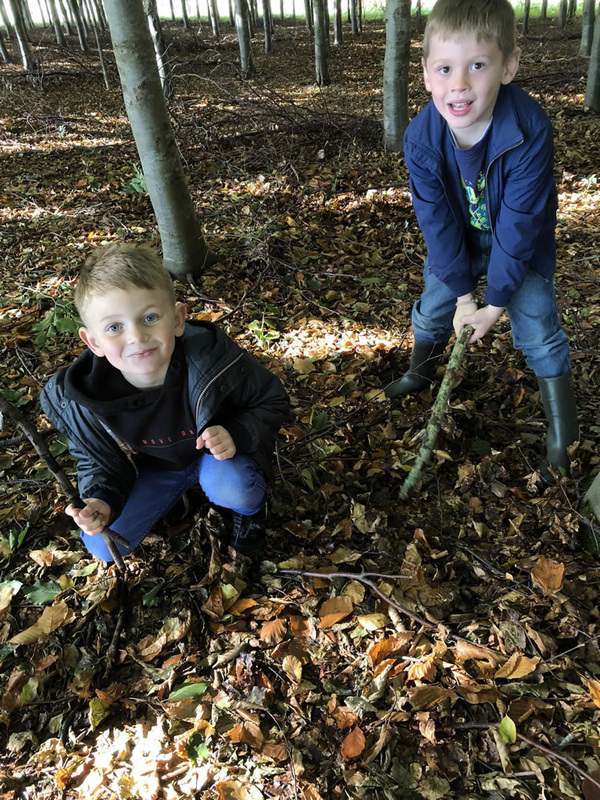 The have also helped Little Red out by writing some persuasive posters to explain why it is so important for us to look after the woods. 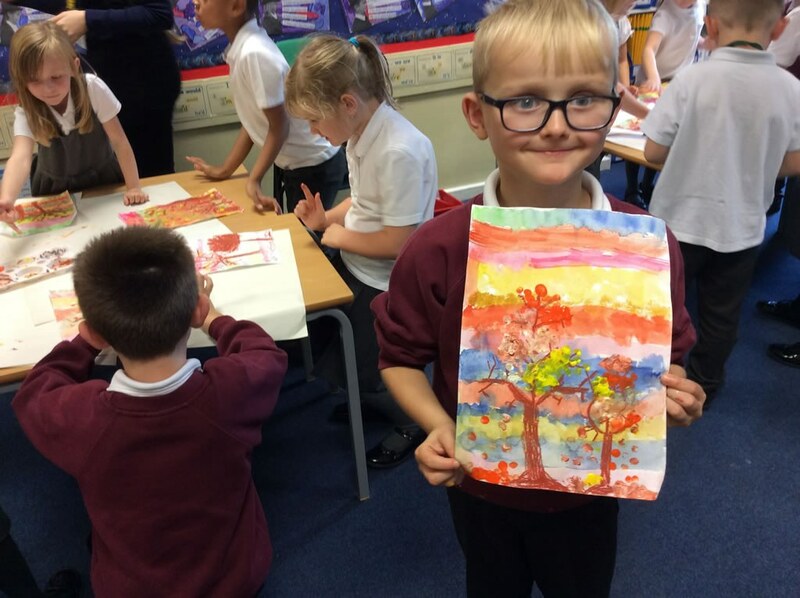 In our Art lessons we have loved creating mixed media pictures of autumn trees and in D&T we have created moving pictures showing our designs for a new home for the Last Wolf. We hope you all have a lovely half term break. 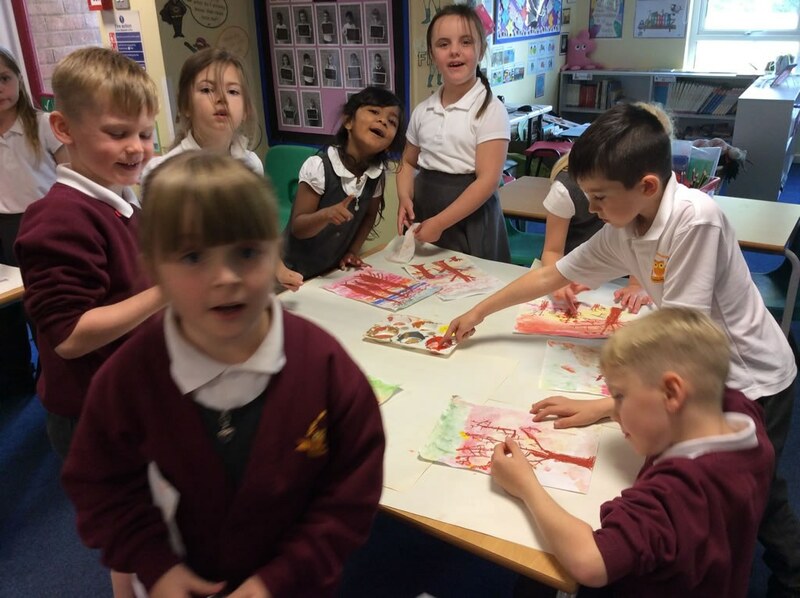 We look forward to all the exciting new learning we will do next term and lots of Christmassy fun in December. Look out for the dates of our Christmas performance. Mrs Johnson & Miss Osborne.